Tradeshow Express: Trends We Gathered from IFT18	|	Food and Beverage Marketing, Advertising and Branding | Brightly creative. | A craft marketing, advertising and branding agency focused in the food and beverage industries. This is our first “Tradeshow Express” post. In between the events we host for our clients, we exhibit on their behalf at A LOT of trade shows in the food and beverages industries. 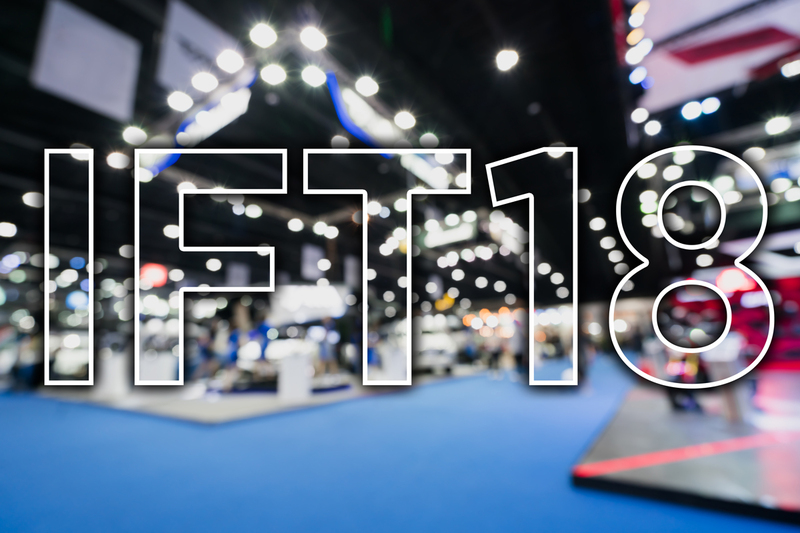 IFT18 was one of our stops this year. We didn’t see anything earth-shattering this year, but we did see some things that were gaining traction and some things that are continuing to grow and evolve. Sea Plants: Kelp, dulse and algae were prevalent. Not only for nutrition, but for a more umami feeling in snack and beverages. We were most surprised to see this also reaching into the kids segment. Food Process Claims: While many continually bark about processed food, others are jumping on the positive processing kick. As many folks start to miss their box of Cheese-Its, they are looking to replace some semblance of that “style” of eating. Terms like, “stone ground,” “cold brewed” and “charcoal filtered” were making their way onto the front of packages. The mental vision of said processes seem a bit less aggressive than a stainless steel vat. Sustainable Packaging: Super glad to see this becoming a bigger deal! Rather interesting too, to see some product forms being driven by the packaging. Plant-Based Proteins: This is right up my alley. Anytime I see folks making the choice to eat less animals the better. In the same vane as Impossible Burger, we are seeing more and more meat alternatives targeted toward beef, pork, poultry and fish eaters. Vegan and vegetarians are mostly well educated about their food and know where to find what suits their dietary needs. These products have vastly improved in flavor and texture over the past years. They are really nipping at the heals of ground meats especially in dishes where the meat is an ingredient in the overall recipe. Clean Label: I know…I’ll spare you. Blee blah blee blah blah. So, IFT18…it’s like hiking the same wilderness over and over. No matter how many times you go, you always see something new, or, you see the same thing in a different light. Being a self-proclaimed foodie and a creative director of a marketing agency, it always stimulates my mind when it comes to ingredient marketing. Emerging craft food manufacturers are willing to embrace change and create products that entertain your palette. We can help you reimagine products and create new ones through market research and industry knowledge and awareness!